Do you want to sew Phoebe, but have the ability to ask questions and learn as you go? Join us for the Phoebe Sewalong! Together, we’ll be making the Phoebe dress in both variations: basic sheath, and double breasted front. Our sewalongs are super in-depth, tutorial-based classes that you can have delivered right to your inbox. And best of all, they are free! Use the sewalong to get more detailed instruction with photos and ask questions as you sew. This sewalong will be taught by the amazing and knowledgable Devon Iott of Miss Make. She will be covering everything from pattern alterations to installing a lining. The introduction to the sewalong will go up January 12th, along with the complete and detailed schedule of lessons. On January 14th, we’ll cover fabric and supplies. The following week (beginning the 19th), we’ll cover some fitting guides, including bust adjustments. Lessons will be delivered every Tuesday and Thursday until February 16th, when we’ll finish up and share our projects. You can pick up the Phoebe pattern here. Five years ago, Haley left the apparel industry to join the world of home sewing. She has been empowering women to sew ever since – first through years of in-person teaching at Sew LA, and now through her writing at Colette. 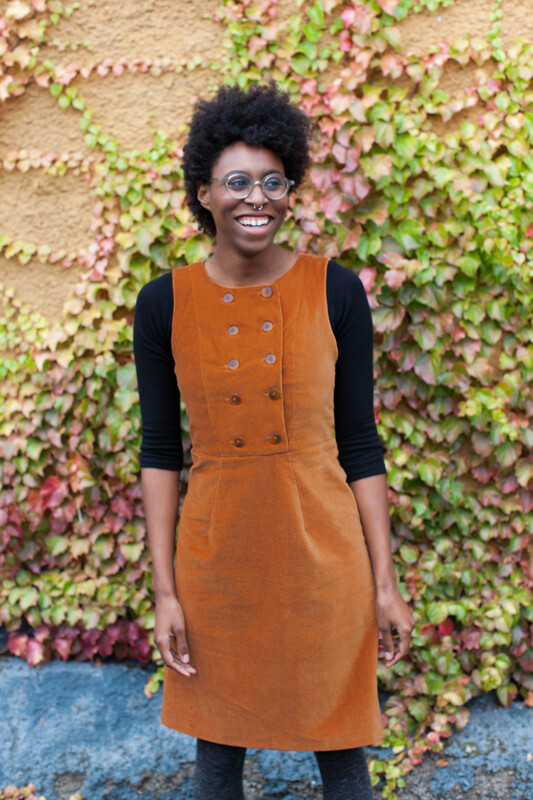 Haley writes tutorials and articles on our blog, teaches sewalongs, and writes and edits for our magazine, Seamwork. Announcing the Aster Sewalong: Starts July 13th! I didn’t get the Phoebe pattern but was wondering if you plan a Wren sew along? Bought the pattern when it released but didn’t get a chance to do anything yet..
Hi Melanie, we will not be offering a sewalong for Wren, but you can view a round-up of relevant tutorials here. Hope this is helpful! I’m an absolute beginner who has just about got the basics down (I’ve made one pillowcase). Is this tutorial appropriate for me or should I start smaller? I have joined the sew along and I have some sewing experience but I have never used a digital pattern and I am worried about it because I am not too computer savy.. Is there a tutorial on how to print and assemble the digital patterns? I can see my self getting all messed up with pages of pieces of the pattern. I am very excited about the sew along, if I can handle the pattern. Hi Karen, we have a tutorial on using PDF patterns here, but you can also purchase a printed version of the pattern at our online shop or locally. We have a list of stockist here! I finally got everything I needed to start sewing Phoebe today. Today my quilting world and garment sewing world collided when I started chain piecing the bodice. I can’t believe I never thought of this before!